Antoine Hodge, bass-baritone, is quickly gaining widespread attention across the country for his versality, commanding stage presence, and strong bass voice. Praised by Opera News as a "dramatically compelling" artist with a "sonorous and vocally secure" instrument, the 2015-16 season will bring more company premieres and operac role debuts, Including Ferrando in Il Trovatore with Winter Opera St Louis, Antonio/Gusmano in the North American premiere of Marcos Portugal's The Marriage of Figaro with On Site Opera, and Dr. Grenvil in La Traviata with Ash Lawn Opera. 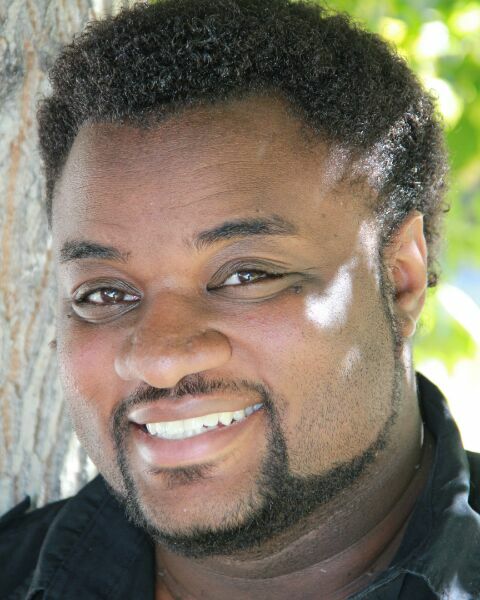 The 2014-15 season showcased Antoine in a return to a favorite in his repertoire as King Balthazar in Amahl and the Night Visitors with Central City Opera. He also made his debut as bass soloist in Gerald Finzi’s In terra pax with the Colorado Springs Philharmonic and a New York City premiere as Sam in Un ballo in maschera and Don Basilio in Il barbiere di Siviglia with Regina Opera Company. Past roles for Antoine include Colline in La bohème, Beo/Amatio di Nicolao in Gianni Schicchi, the Master of Ceremonies in Cendrillon, Mr. Page in The Merry Wives of Windsor, Mr. Gobineau in The Medium, Yundt in Curs Bryant's The Anarchists, Don Bartolo in Le nozze di Figaro, Don Alfonso in Così fan tutte, Don Magnifico in La Cenerentola, and a host of comprimario roles on professional stages in Colorado and Georgia with Opera Colorado, Opera Fort Collins, and Atlanta Opera. On the concert stage, Antoine has performed several works, including Mozart's Requiem mass, Beethoven’s Symphony No. 9, Liza Lehmann’s In A Persian Garden, Schubert's Mass No. 2 in G Major, Vaughan Williams' Hodie, Five Mystical Songs, and Serenade to Music, Faure's Requiem, Haydn's Nelson Mass, Verdi’s Messa da Requiem, and numerous performances of Handel's Messiah. Other engagements this season include another appearance as King Balthazar in Menotti's Amahl and the Night Visitorsc with Grand Junction Symphony, bass soloist in Mendelssohn’s Vom Himmel hoch with the Colorado Springs Philharmonic, and bass soloist in Faure's Requiem and Beethoven's Symphony No. 9 with Litha Symphony Orchcestra.